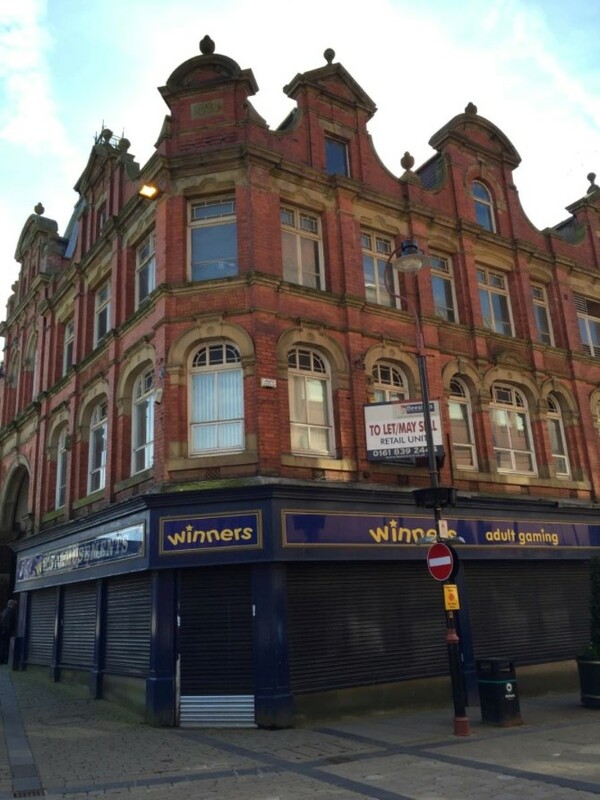 Curzon St 4 storey commercial property in the revitalised, game changing, up and coming & regenerated Oldham Town Centre is being auctioned off with a guide price of just £200,000. The price demonstrates the inability in Oldham to garner anything remotely near what a prime property should raise in a Town centre. This also reflects not just upon commercial but also residential properties especialy those planned in the Town Centre at Prince’s Gate. The councils own property report states planned housing is not viable for private property developers because of low profit margins and the latest ONS house price release shows that in December 2015 house prices in St Mary’s which covers Curzon St and the Prince’s Gate site were the lowest in Oldham at just £45,000.